Blog | Page 4 of 26 | Morai Logistics Inc. Experts say that machine Learning is a “revolutionary” solution that could solve four major challenges facing supply chains this year. 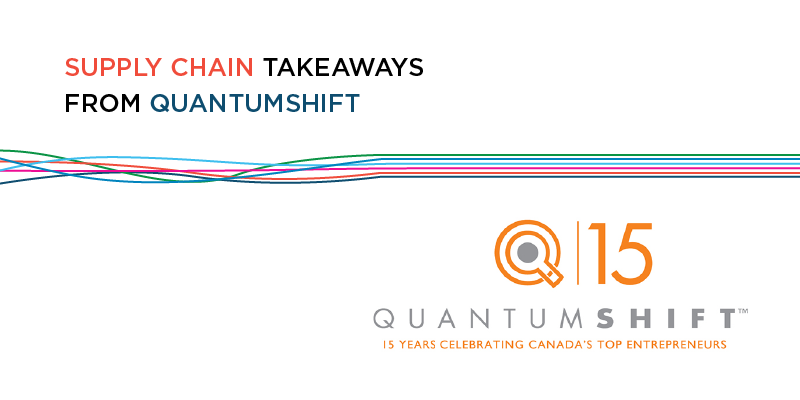 Supply chains are currently faced with the same innovative, yet challenging movement: technology. The disruption caused by digitization has increased the value of global markets, but has also advanced the way supply chains operate. This translates into an increase in consumer demand and a greater need for optimized processes. According to Boss Magazine, today’s supply chains strive to achieve the same goal, “to simplify processes while maximizing effectiveness”. However, while emerging platforms have made notable impacts, there is a technology that is gaining considerable traction. A branch of artificial intelligence based on the idea that systems can learn from data, identify patterns and make decisions with minimal human intervention. This advanced system of data analytics has helped transform our everyday lives. For example, media service provider, Netflix, creates positive customer experience by predicting the shows viewers may be interested in based on past searches. This form of “analytical model building” could also present revolutionary ways for supply chains to optimize their processes. 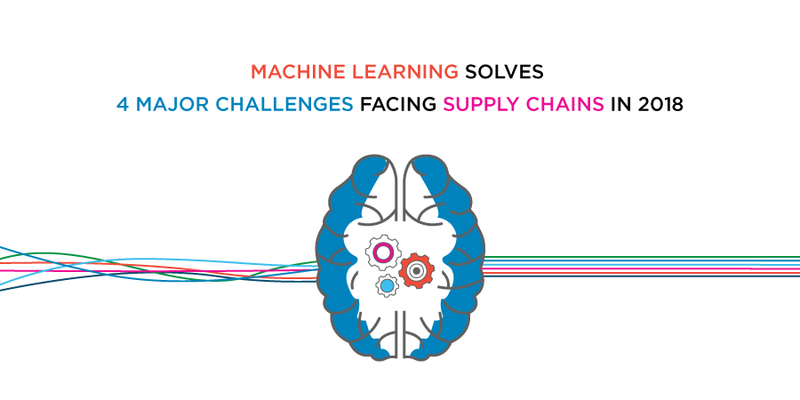 This article identifies how machine learning can address four challenges facing supply chains in 2018. As mentioned above, there is considerable pressure on supply chains to provide efficiency and immediacy. Ecommerce and mobile shopping has provided customers with easy-to-use platforms where they can purchase items with the click of a button. Therefore, the expectation of expedited delivery has also increased. Forbes contributor, Louis Columbus, states that machine learning algorithms can help address one of the top challenges facing supply chains: “predicting the future demands for production”. Machine learning enables companies to make sense of big data in order to recognize patterns and understand how to predict these future demands. The advanced forecasting approach of machine learning can also help reduce costs associated with delivery. Supply Chain Dive confirms that just two years ago, 60% of online transactions were expedited with free delivery. This has raised the bar in customer satisfaction but has also put incredible pressure on retailers and supply chains from a cost perspective. In conjunction with Artificial Intelligence (AI), machine learning can help improve delivery performance and reduce freight costs by considering and avoiding possible deviations. To reiterate, the emergence of online shopping platforms has increased demand, moving organizations to place acute focus on customer service. Machine learning improves efficiency, therefore, improving the ability for companies to provide visible and reliable service. Research on supply chain pain points found that due to inaccurate forecasting, companies struggle understanding ‘market patterns and market fluctuations’. Forbes states that on top of decreasing inventory and operation costs, machine learning also improves the response time to customers. 73% of online shoppers feel more confident making purchases when they have the ability to track their delivery. In combination with other forms of technology, machine learning can help supply chains achieve end-to-end visibility. It offers advanced insight into real-time data and formulates patterns that can help companies make informed decisions. Supply chains must leverage technologies that help improve demand forecasting, lower costs, improve their customer service and deliver transparency. Machine learning is a revolutionary tool that supply chains should utilize to overcome unpredictable challenges. 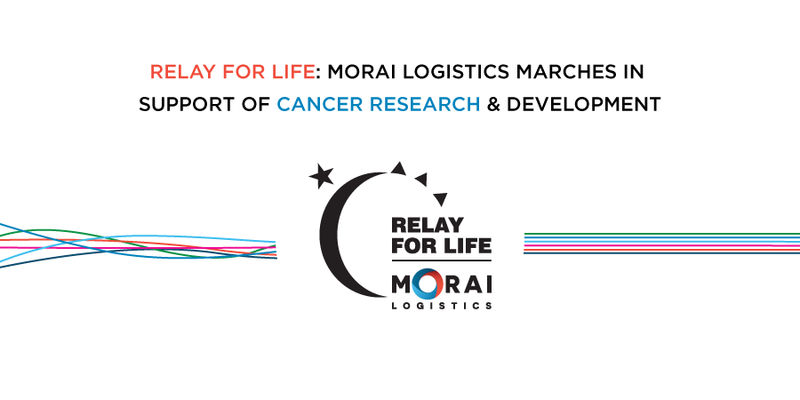 Morai Logistics raises $22,420 in support of cancer research and development by marching with members of the community at the 2018 Relay for Life. Cancer remains one of the leading causes of death in North America. Last year alone, there were 206, 200 new cancer diagnoses in Canada. Furthermore, by the end of 2018 the number of estimated new cases in the United States will be ‘1,735,350‘. These figures reflect the urgent need for communities, industries and governments to support cancer research and development. 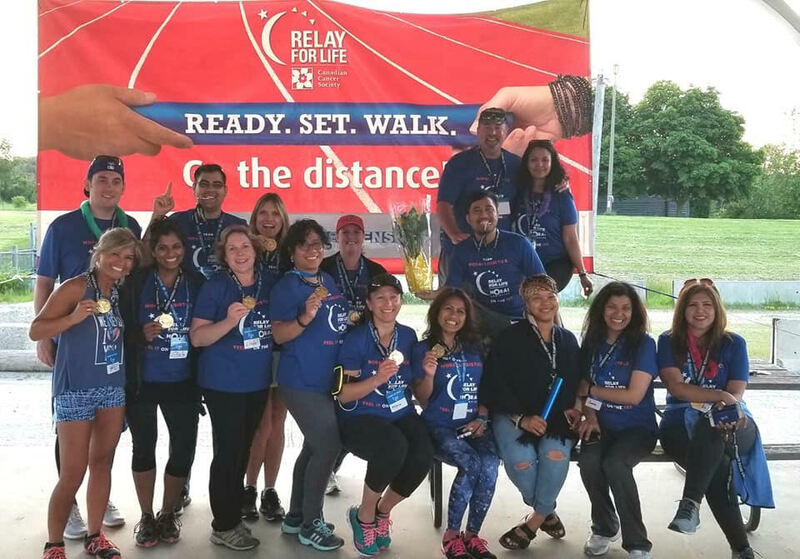 On Friday, June 8th, 2018, Morai Logistics participated in Relay for Life, an annual fundraising event founded by the Canadian Cancer Society. Alongside thousands of members of the community, our team marched together to help ‘fight back against cancer’. These initiatives are a constant pillar of strength to many. However, the urgency to implement processes that effectively facilitate the preventative treatment of cancer remains. Arthur-Gay: Valued Morai Logistics Team Member. Cancer Survivor. Forbes identifies patient personalization as a step toward providing optimal customer experience to patients in need of immediate and tailored medical treatment. This phenomena is growing in popularity on both the patient/customer and facility side. By 2022, it’s expected that the personal medicine market will reach USD 2.45 trillion. 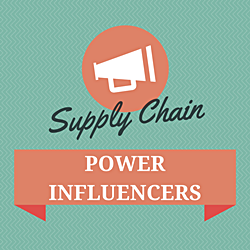 This will place an increase in pressure on the healthcare supply chain management industry. This article investigates the importance of personalized medication in improving cancer treatment. 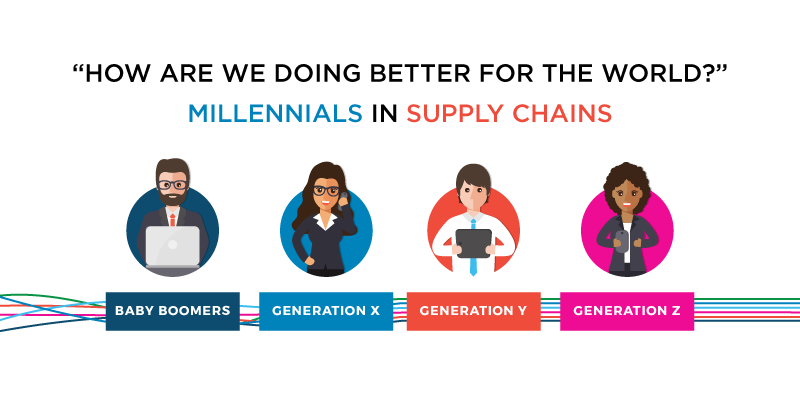 It also touches on the role supply chains have in meeting the demands of this growing market. How likely will an individual develop cancer? Who will benefit from ‘earlier screening’? Which treatment would be effective, while causing less side effects? What appropriate plans should be implemented to manage treatment? How do research develop new treatments? How do we educate patients on making the right ‘treatment decisions’? This advanced method of understanding and identifying appropriate treatment protocol has shown a considerable advantage in preventing specific cancers. Therefore, it’s important to recognize the impact this growing market will have on healthcare supply chain management. Research predicts that the healthcare supply chain management market will reach USD 2.56 billion by 2025. As this treatment approach moves from ‘reaction to prevention’, this will enable medical professionals to offer effective treatment options’. However, research has identified the popularity of personalized medicine will place considerable pressure on manufacturers in supply chains. 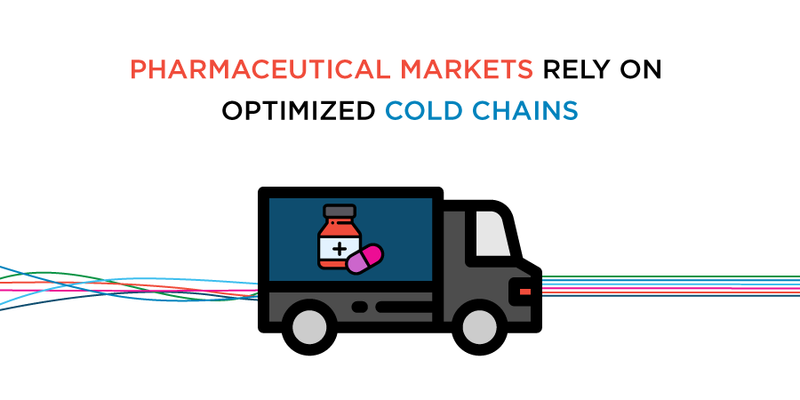 In addition, the transportation of medication is ‘time and temperature’ sensitive, which places a critical importance on ensuring ‘cold chain is virtually error-free’. When multiple medications are shipped together but require different temperatures, certain challenges may arise. The facilitation of personalized medication creates an intricate shipment lifecycle going from manufacturer to production facility to the patient. However, research also explains that the same third party logistics providers (3PL) run throughout the entire service. For logistics companies, this means recognizing their vital role in facilitating the personalized medication market. 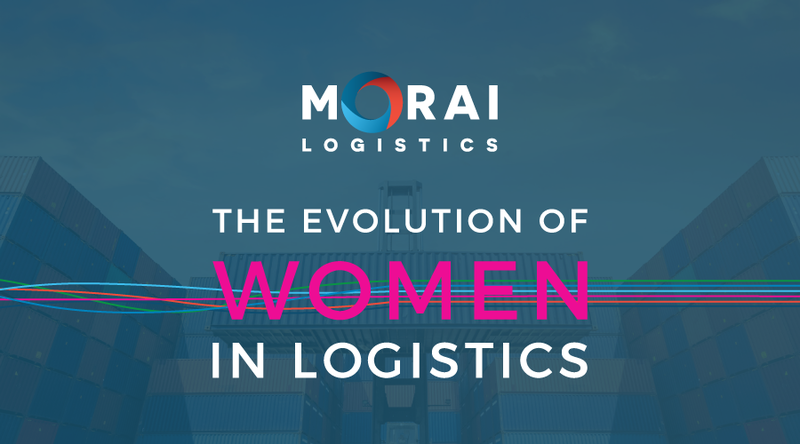 Morai Logistics is passionately dedicated to supporting cancer research and development. 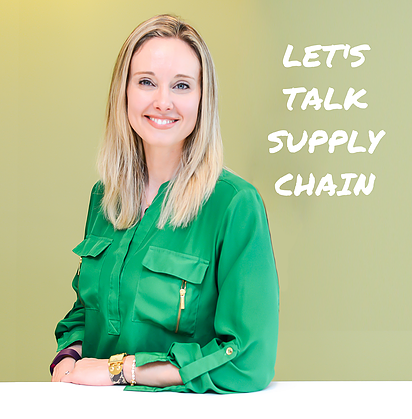 As a North American leader in supply chain and logistics, we understand the important role 3PLs play as a partner and advocate for the safe and efficient transport of personalized medication. Our participation in community events, such as Relay for Life, is one of the many ways our company stands with those affected by cancer. Together, our energetic and passionate team raised $22,420 this year in honour of an incredible cause! Discussion on effective leadership (i.e. c-suite, or c-level positions such as CFO, CTO, CMO, etc.) 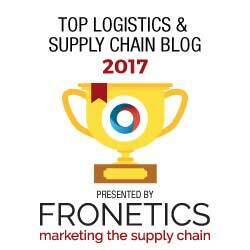 trends in 2018 stimulates further investigation into what it takes to become an effective supply chain and logistics C-Suite executive. 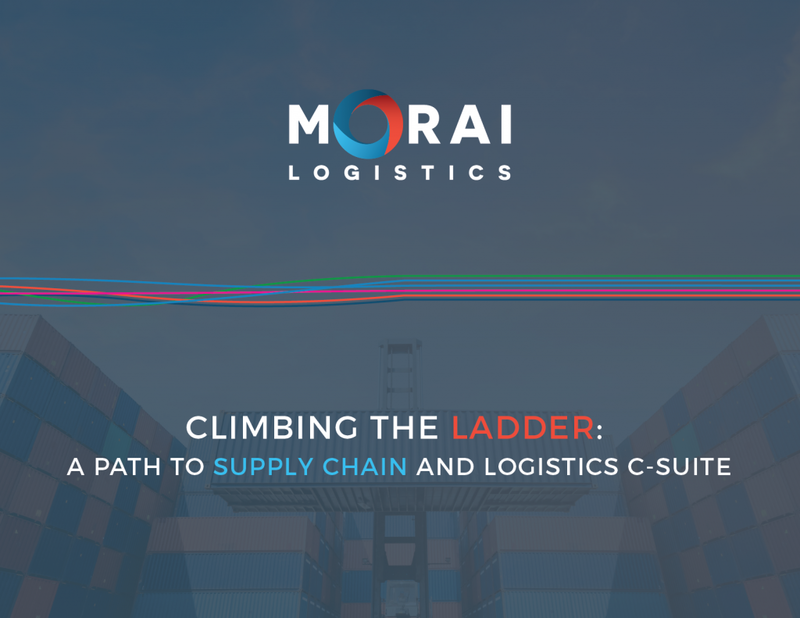 Previously, Morai Logistics identified four key leadership trends shaping economies across North America. The importance of empowering women in leadership positions, fostering ambition, exhibiting core values and embracing upcoming generations, were correlated with effective business leadership. However, these trends also place a significant emphasis on the responsibilities of C-suite Executives, especially those in supply chains and logistics. The term “C-Suite” describes leaders who hold senior executive positions within a business or organization. According to Investopedia, these positions may include ‘chief executive officer (CEO), chief financial officer (CFO), chief operating officer (COO), and chief information officer (CIO)’. Alternatively referred to as C-Level, the qualifications of an effective leader outlined above remain consistent with those who hold these positions. However, this year there is an increased emphasis on a commitment to corporate culture, people management, strategic thinking and active leadership. This eBook uncovers current C-Suite trends, current challenges facing C-Level execs, and the core attributes required to be an effective executive leader. 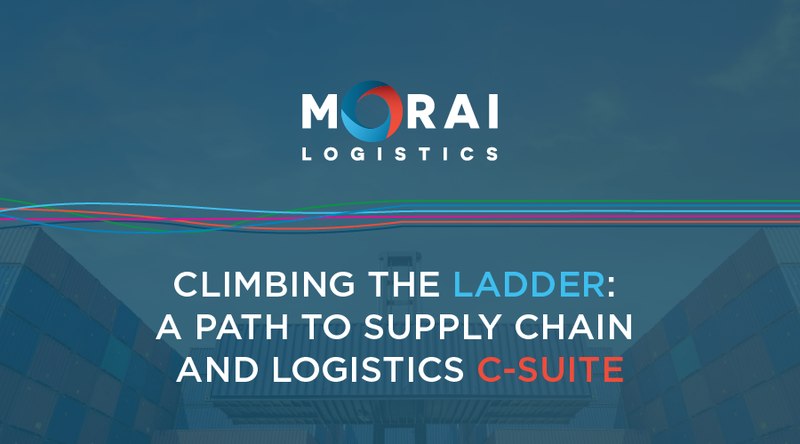 What Does it Take to Reach the C-Suite in Logistics? Experts say the transportation industry can leverage cloud-based technology to optimize their supply chains with efficient and cost-effective solutions. A growing number of industries are embracing cloud-based technologies for its proven ability to improve efficiency and help build connections. 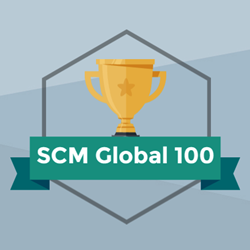 The 2018 Global Cloud Supply Chain Management Market Analysis reported that the value of the global Cloud SCM ‘accounted for USD 3.32 billion’ in 2017. They predict this number will increase ‘at a CAGR of 20.2%’ between 2018 and 2025. Research presented by Global Market Insights , shows that we can expect the ‘smart transportation market’ to reach USD 130 billion by 2024. These figures show the economic growth of this market and highlights the benefits cloud adoption provide industries who integrate such technologies into their models. The transportation industry faces many challenges as consumer demands for flexibility continues to increase. Booming ecommerce markets require supply chains to offer personalized customer experiences and faster delivery times. This places incredible pressure on transport supply chains, urging them to implement efficient and effective processes. This article details the various functions of this the Cloud, and identifies the significant role it will play in transforming the industry. In the 1950’s, mainframe computing was becoming too costly and companies identified the need to localize solutions to a singular computer system. Virtual machines became popular in the 1970’s, as their ability to operate multiple systems in a singular environment helped address the issues faced by mainframe computing. Today, research and development of innovative technologies is motivated by the same need: to improve efficiency and reduce operation costs. As a leader in cloud computing technology, Salesforce also believes there are many benefits associated with integrating this technology into business processes. Salesforce outlines the following reasons as to why companies should move to the cloud. Improves Flexibility – Helps business scale up and down. Helps small businesses implement ‘recovery solutions’. Reduces system maintenance by offering ‘automatic software updates’. Creates visibility that promotes collaboration. Facilitates remote opportunities for employees. Provides a central location for company documentation. Positions company as a lead competitor. Based on the above ten benefits, there is no denying that cloud-based technologies can help companies in many ways. The process of modernizing supply chains relies heavily on the integration of the cloud. The transportation industry has recognized the positive impact cloud adoption has on improving the bottom-line of organizations. 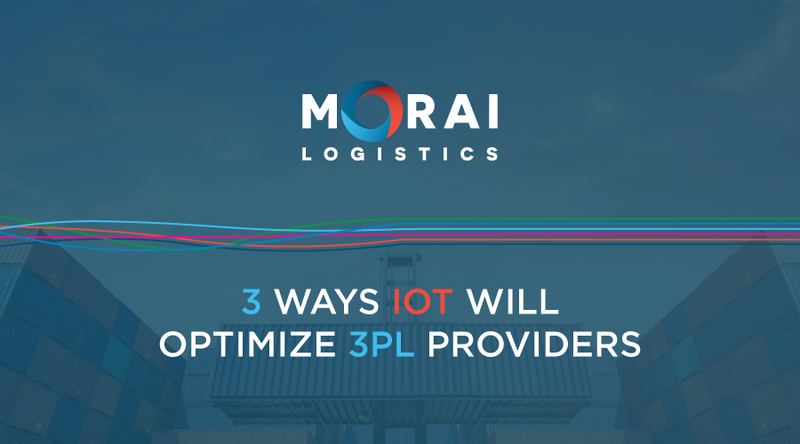 In February, Morai Logistics shared an infographic defining Industry 4.0. 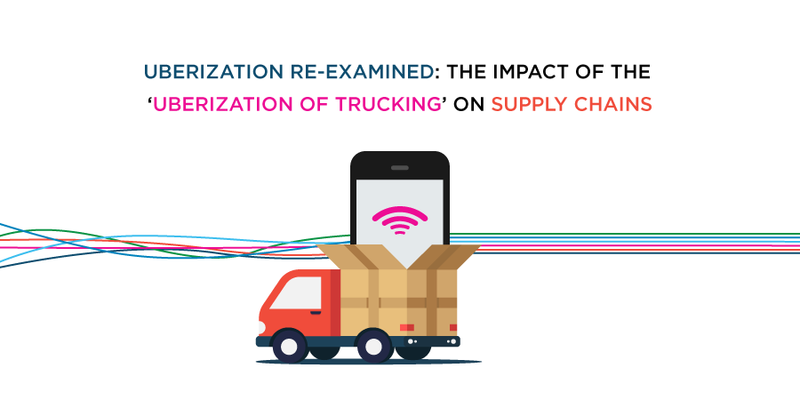 Research indicates that two thousand companies have already begun digitizing their supply chains. The investment into emerging platforms also boosts productivity and operations, lowers costs and improves transparency. …redefine customer relationships, transform operations, improve governance and transparency, and expand business agility and capability. Known for its ‘unconstrained capacity growth’, the cloud will continue to offer supply chains with advanced solutions. Statistically, 48% of executives believe the cloud will help improve data access, which will help supply chains build ‘customer loyalty’. Cloud adoption will enable organizations to implement personalized experiences for customers through Omni-channel processes. Technology pioneers, IBM and Salesforce, provide significant research that illustrates how the cloud can effectively optimize the supply chains of many industries. 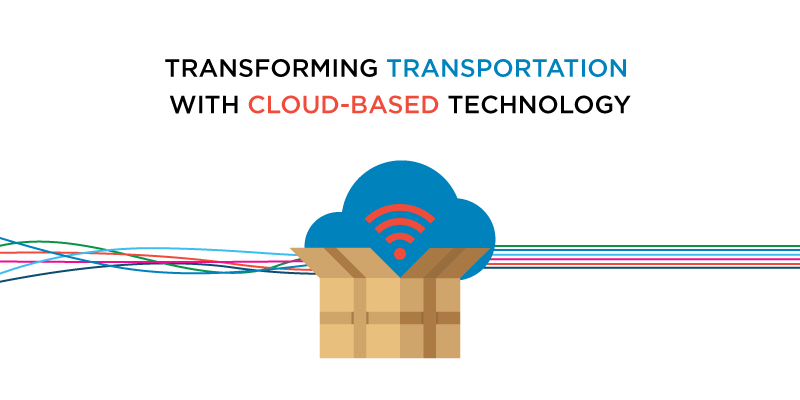 In the face of growing demands for efficiency and immediacy, innovative cloud-based solutions will play a significant role in transforming the transportation industry.